We've seen lots of games offer different outcomes based on well signposted choices. Save people or kill them, side with this person or that. Are there games providing interesting (non fail-state) outcomes based on player performance? 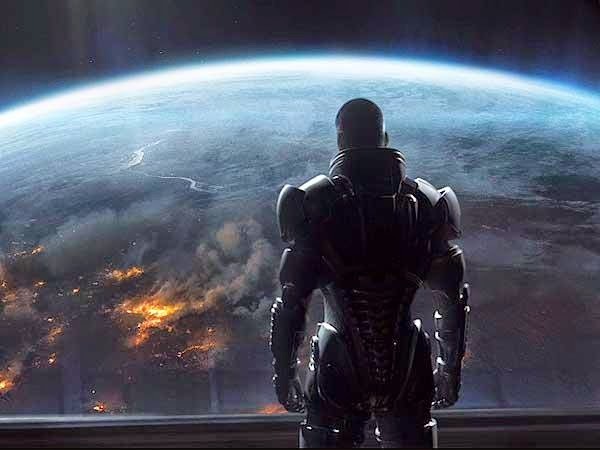 As an example the Mass Effect series focuses on choice only. Failure to win a battle always results in a game fail state and restart, much like playing a Mario game. The performance of the player outside of dialogue choices is essentially meaningless, there is only an option to progress or keep trying until you progress. As far as the story is concerned you are an amazing hero who always succeeds at combat - regardless of whether you actually died and restarted 30 times to progress through the sequence. This disconnect is an example of ludonarrative dissonance as the actual experience of the player restarting over and over until complete is completely at odds with the progression presented in the game once they succeed. The game pretends nothing unusual happened and ignores the reality of a players experience altogether. This lack of acknowledgement completely undermines the in game narrative and distances the emotional impact of the story being presented. From the moment this inconsistency occurs the players are no longer engaged with the idea that the story is about their experience and it transforms into someone else's story which they're now being told to recreate. A major hurdle in overcoming this problem in a Mass Effect combat scenario is that having a single main player character removes the possibility of combat based fail states resulting in death. Could this be achieved through combat failure resulting in auto withdrawal and retreat rather than death - no battle is "fight to the death"? Perhaps the same would need to hold true for opponents though? It might be odd if the player's side always retreats when their opponents always fight to their death. This suggests an alternate version of a Mass Effect game where you play as multiple characters of different races and your death is permanent. A death and reduction in the overall army/roster reduces chance of end game success. The traditional design approach has been used in games for decades now, but it needn't be. There are other far more interesting choices that can be made if the designer is willing to trust the player and the game systems they've created. In many cases the game systems are not sufficiently interesting or complex to stand up without adding a completely pre-scripted narrative story to try and keep the player engaged. Contrast this with systems that can interact with players to generate engaging narratives purely based on the interactions of the rulesets with player behaviour - sounds fun huh?